David Koski: Volumetric golden spiral. Robert Meurant: Space Station designs. RA the Law of One: Social Memory Complex from Venus. Richard Merrick: Golden Ratio music theory. Krsanna Duran: Mayan Earthgrid research. 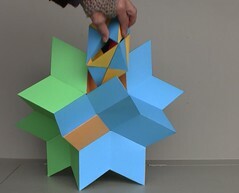 Mark White: Dodecahedron Genetic Code. Djwal Khul: A Treatise on Cosmic Fire. 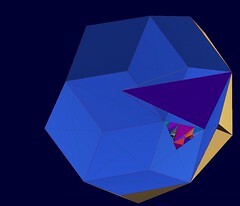 Fractal Solar System: Golden Ratio Space-Time. Dawn Stranges: Sevenfold Etheric Forces. Scott Vorthmann: Zometool like modelling software i use. MaeWan Ho: Golden Ratio fractal as Spacetime continuum. P.R. 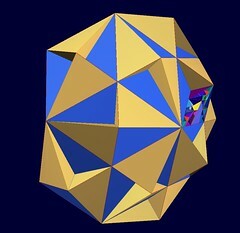 Sarkar: Microvita & Cosmology. Monroe Institute: Advanced Out-of-Body explorations.